Where will your Nissan GT-R take you? 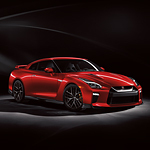 We here at Sheehy Nissan of Glen Burnie understand what a quality sports car looks, feels, and drives like. You want to make sure that it can handle whatever the road or track can throw at it. Introducing the 2019 Nissan GT-R, we're excited about its design and performance built into every part of its frame. Every part of the 2019 Nissan GT-R is built on the Japanese tradition of Takumi. Each of the GT-6's engines is hand assembled by a master craftsman. Once completed, the engine will have a plaque attached bearing the name of the craftsman. When it comes to performance, the GT-R has a 3-mode system for adjusting performance on the go. Normal mode, for example, adapts the transmission, suspension and VDC system to maximize comfort and a smooth ride. R-Mode, on the other hand, allows for quicker shifting and increased handling for the track.